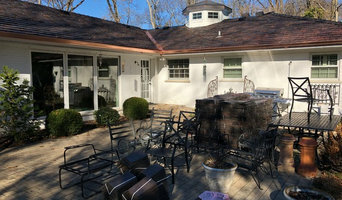 Deer Park Roofing specializes in the quality installation of residential and commercial roofing systems in Cincinnati, Ohio. Founded in 1996, Deer Park Roofing has an A+ rating with the Better Business Bureau, and has achieved Platinum Status in the Owens Corning preferred contractor program. Fusion Roofing & Restoration is your full service home protection company. We do more than roofing here at Fusion, we have skilled craftsmen for siding, Windows, gutters, finished carpenters, and our specialty custom copper work. We are Cincinnati's premiere box gutter company with over 25 years experience. Fusion is not to big for the small jobs and big enough to get the large job done right and on time. After years of working for the larger roofing companies in our local area we started Fusion to offer customers a great product with a personal touch others have forgotten. We are a locally owned and operated roofing company providing our clients with the best materials and workmanship at the most affordable price. Our customer service can’t be beat. With over 15 years in business, Brandstetter Roofing has been dedicated to providing homeowners with the finest products and services when it comes to roofing, siding and gutters or gutter protection. 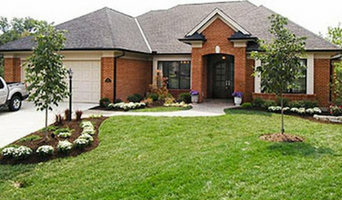 Ryan's Home Center, a fourth generation company, is proud to be a full service home improvement dealer serving Greater Cincinnati, Northern Kentucky, and South Eastern Indiana. Using only the highest quality materials, we offer a complete home exterior product line. Replacement windows and doors can add beauty and style to you home while decreasing energy consumption. An investment in new siding and roofing can add curb appeal as well as provide protection to your most valuable asset, your home! Ryan’s Home Center also offers services such as the installation of gutters, leaf protection, and insulation. Four generations specializing in home repair has given us the experience to offer a wide range of products and services to meet all of your home improvement needs. Ryan's Home Center is pleased to offer our customers a total home improvement experience. We use only the highest quality products reviewed and selected by our factory trained personnel. With our focus on customer service and precision workmanship we can guarantee complete customer satisfaction. Empire Contractors, established in 2011, has been helping residents & business owners with their exterior needs. Three guys from Cincinnati's west side built a business on Quality, Fairness, and Doing what we say we will. From simple, no frills, roof leaks fixed, to full scale siding projects, Empire has helped solve many problems for property owners over the years. We take pride in what we deliver, which is evident through our many reviews from previous clients. Guarantee: Our bonded installers have over two decades of industry experience in the home improvement field. We source our products from leading industry suppliers like GAF and American Windows. We pledge to only install products of the highest quality that are backed by a lifetime guarantee. Services: We handle everything from your smallest repair to your largest project. Whether you need just a few shingles replaced, or a complete roof inspection due to a leak in your roof, CHI Roofing handles it all. We specialize in roofing, windows, and siding installation and go the extra mile to ensure that every job is done right and to your satisfaction. Schneider Home Equipment Co. had its humble beginning in 1935. Initially known as Schneider Hardware, the first store was located in Fairmount, on Harrison Ave. By the mid 50's, aluminum made its appearance as the material of the future for windows, doors, and awnings. It was a significant transition moving from painted wood products to the new maintenance free aluminum products. However, Schneider's maintained a flexible outlook and successfully adapted to this change in the home improvement industry. After Stan Jr.'s retirement in 1996, his son Mike represented the third generation of Schneider's to lead the family business. With an outstanding reputation already established, maintaining it became the key focus. Mike has continued this through an unrelenting commitment to customer service, a pledge to offer the highest quality products, and the unmatched resolution to bring these to the customer at the lowest price possible. C.H.I. 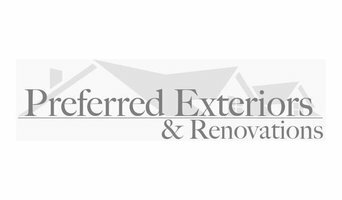 Roofing has been committed to serving the Cincinnati area's roofing, siding, and window needs since 2007. Owner Rob Montanus has lived in the area his entire life and prides himself on C.H.I. Roofing’s reputation for quality work at a fair price. C.H.I. only uses the best material manufacturers and is certified in the best methods for installation that will last your home a lifetime. Our work speaks for itself! Call 513-731-ROOF for a no risk free estimate. A full service roofing, gutters, and sheet metal contractor serving the Greater Cincinnati and Northern Kentucky market. Very Honest and Trustworthy 28 yr. old family owned business. Hold 2 Roofing Factory Certifications. Hold highest ratings on all sites like the Better Business Bureau, Angie's List etc. Very complimentary customer reviews. We only do premium work with the best in modern materials and trained crew. Our Quality and Skill sets us apart from other companies. We take extra time during the design process to ensure we’re creating a roofing system that fits your specific needs. And we take the extra time throughout the course of our work to ensure that your roofing project, whether it is repairs or a complete roof replacement, is completed with the highest level of quality and workmanship. 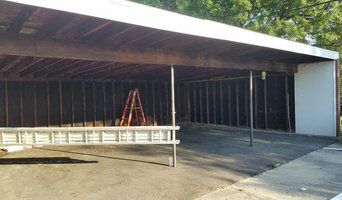 Roofing and gutter contractors in Moscow, OH can install a new roof, repair an old one or extend an existing one, as well as repair and replace gutters. They can inspect roofs and guttering after damage from harsh weather, and also offer services such as roof insulation, and general maintenance such as roof and gutter cleaning. Some specialise in specific types of roofs, such as tile, metal or Colorbond roofing. Here are some related professionals and vendors to complement the work of roofing & gutters: Building Project Managers, Specialty Contractors, Cladding & Exteriors, Doors, Garage Doors. Find a roofing company and gutter professional on Houzz. Narrow your search for professionals by selecting your nearest city or postcode. Look at portfolio and product photos, and read reviews to find the best roofing company and gutter professional for your Moscow, OH home.